OffO App enables seamless sharing of free Wi-Fi between Family and Friends. 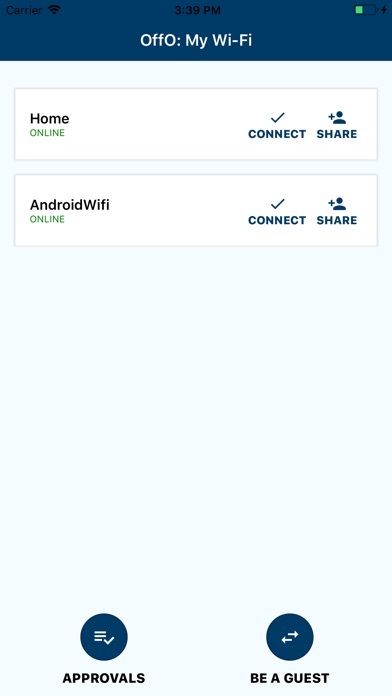 As a Wi-Fi guest, selects a contact to request Wi-FI access. Host will approve guest's Wi-Fi access. 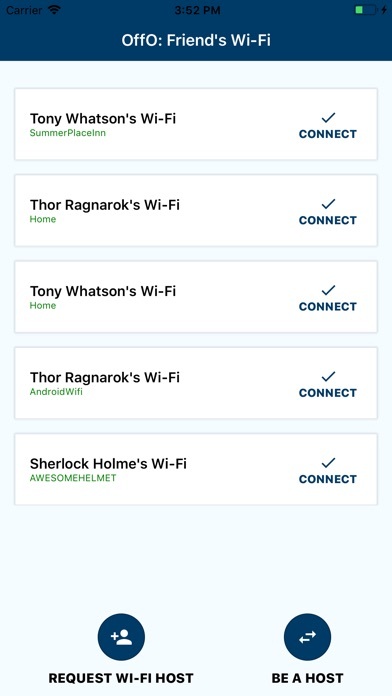 As a Wi-Fi Host, can add multiple Wi-Fi profiles so that they can share Wi-Fi with their guest's easily.